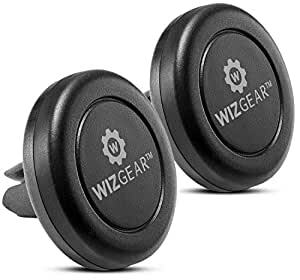 Sold by WizGear Direct and Fulfilled by Amazon. Gift-wrap available. 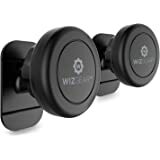 Amazon's Choice for "car phone mount magnetic"
Sold by WizGear Direct and ships from Amazon Fulfillment. 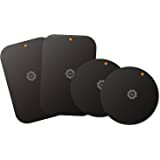 Sold by Tin G and ships from Amazon Fulfillment. 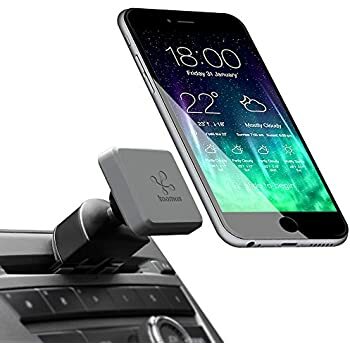 While you are scouring through the listings of magnetic cell phone mounts, keep one VERY important thing in mind; the shape of your air vents. 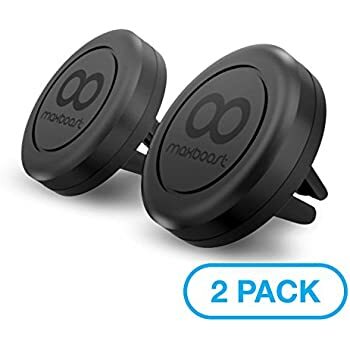 This product is designed for those air vents that protrude a bit more, like PT Cruisers, and stick out past the dashboard plastics. If your air vents look like that, this is your mount. 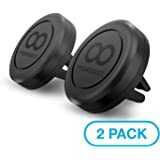 It actually comes with two (one for slimmer air vent plastics, one for slightly wider designs). Please don't be stupid like I was! Check your air vents BEFORE you add to cart. 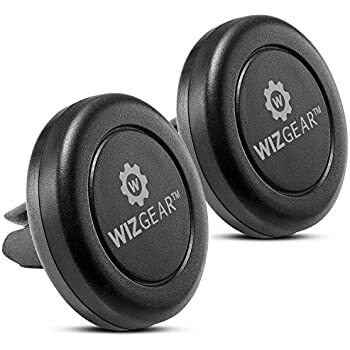 Seriously, go out to your car now, and see if there is a little plastic lip that sticks out even a 1/2 inch more, then think about Wizgear's other models. I usually don't like writing reviews but I had to write this one. I The magnet is strong enough, but that's not the issue. 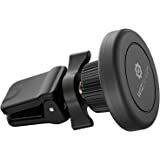 The issue is the base clamp, the clamp is extremely weak when attaching it to the air vents, everytime I pull the phone out, the base comes with it. It's extremely annoying that I have to keep on putting back the mount everytime I take my phone. 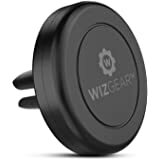 The other issue is with wireless charging, if you put the magnet at the middle of your phone, the wireless charge will not pick up. 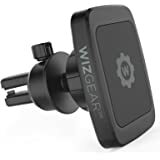 It will not charge, I had to move the magnet on the upper part of the body, and use the smaller magnet on the bottom part, just to make sure I'm able to cover enough of the phone where I can just put it on the mount. I would definetly not buy this again. 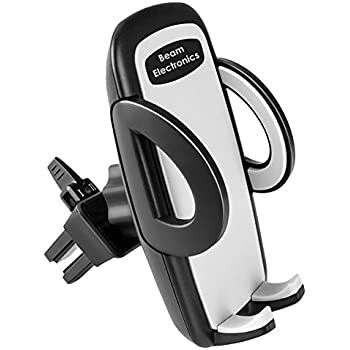 So just as an update, I still have been using this even with the weak base clamp, I got used to it, but about 2-3 weeks ago, the magnet is incredibly weak. My phone who once use to stay on, would just fall off now. Now of course you're wondering if I have a big phone, the answer is yes I do, but it stayed on fine before. I also have an iPhone 8 for work, which is a smallish and light phone, which always falls off because the magnet got weaker. So in less than 6 months, the magnet is becoming useless now. Magnet is OK, but rubber fingers do not adequately grip the vent fins. Phone + mount fall out every 10 minutes or so, which make it less than useful for intended purpose. This unit has different sized slots, but neither work in my Prius vent. 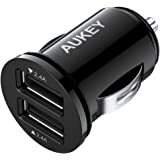 Suggest you consider the Aukey equivalent, which worked well in same position in my car (and in the rental)..
4.0 out of 5 starsPerfect for anyone! Four stars because there are some weird complications with this and the instructions are pretty confusing. 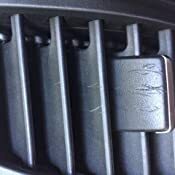 Before working with the magnets on how to get them onto your phone consider the placement: put the vent clip on your cars vent and hold your phone to it. We didn't do this so our magnets are placed a bit higher than we prefer! So I reccomend giving this a try first for best results! Magnet instructions: For us, we couldn't pull the stickers off. That's one reason for the 4 stars! But we chose the round magnets to stick to our phones, the were smaller and less noticeable. Option A (the one we did) stick the slim magnet of your choice directly to the back of your phone, props if you can peel the stickers from the paper. These obviously go on the back of your phone. 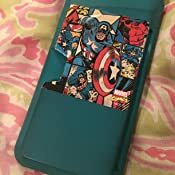 It protects your phone from the super stickey magnet! This will risk the magnet eventually coming off when you pull it from the mount. But that will be a while before that even starts to be an issue. Option B: To avoid the risk of the magnet coming apart from your phone, your best best is to use a phone case! This way the mount and magnet don't come directly into contact. It's a super strong magnet and the price is right! You get one for each car! My vents are black so it blendswell, you hardly notice them when your phone isn't on it! We have a JEEP so our vents spin. 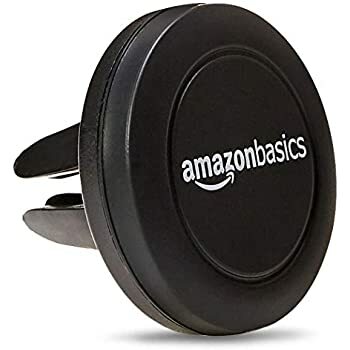 This allows our phones to be perfectly adjusted to our prefference. It may be harder to attach it to a regular straight vent! But I doubt it. 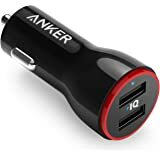 I will update when I attach it to my Ford Fusion (in the shop) as soon as I get it back! 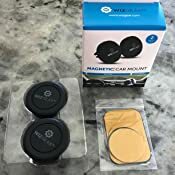 The mount is also so strong it holds onto the magnet no matter where it's placed! So if you wnt to slide your phone to one side or a little up and the magnet isn't fully on the mount it still holds impressivly well. 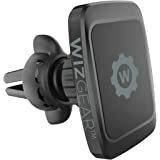 We bought these for $9 instead of installing a fancy radio and slow gps for $900+ I think it's worth it! Just use your favorite music app and phone's gps. 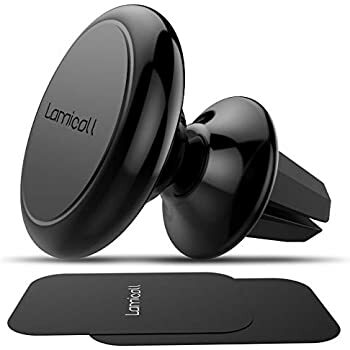 I bought it for my husband because he is constantly on the phone for work and this way he can easily answer his phone and put it in speaker but keep it away from his hands or from falling off his lap. Gives me some peace of mind! I live in FL so A/C is important. 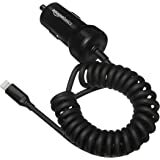 Unfortunately the mount (when the phone is attached) blocks the vent. But an easy fix is cool your car down first before attaching it! 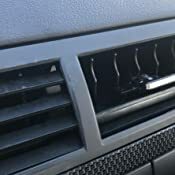 It only goes on one vent so it's not a big deal but it may be if your car has no vents for the back seats and you have children (like us!) If you like to use your phome in landscape mode the weight might be awkwardly distributed and will cause the vent to "fall" downward. This is fixed by adjusting it and playing with it a bit. This, aside from some weird confusing and almost none existant instructions, are the only cons! Please make the adhesive stickers easier to peel off and print a clear instruction sheet! We easily got over it :) now we use them everyday!